BOA Lite Compression Back Brace – Pacific Medical, Inc.
Low profile compression back brace and breathable mesh material. 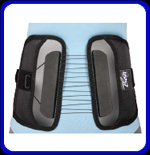 Lightweight design is ideal for back sprains and strains. The BOA Lite is not intended to be used with Chairback accessory.